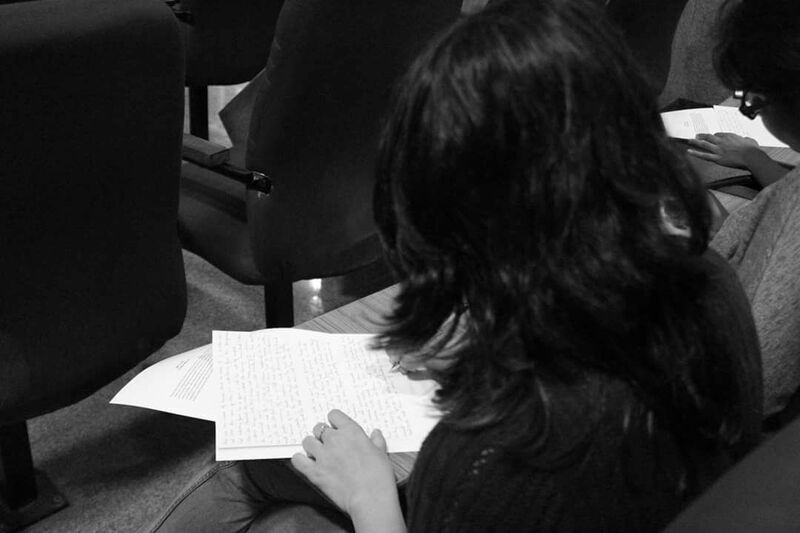 Anjana Moraes covers the fan fiction writing competition at Meta. Fandom Menace, the fan fiction writing contest at Meta, was conducted in the De Nobili Hall on 13 February 2017. It was an on-the-spot event that was open to all. Participants were to use the prompts given to write a story featuring characters from already established fictional characters. The theme of the fest being ‘Over the Top’, the idea was for the participants to go over the top with their imagination and creativity. A participant at the competition. Archita Raghu, student of I EJP, said that she wrote about Dopey from Snow White and the Seven Dwarves and Mrs. Honey from Matilda. Donna Eva, also from I EJP wrote a fan fiction piece on Harley Quin, of the DC Universe and Nurse Ratched from One Flew over the Cuckoo’s Nest. “I wrote a story based on the Lord of the Rings”, said Sagar, a student from II CEZ. He wrote an apocalyptic scenario involving a lot of comic book characters including those from Marvel and Asterix comics. ← Do you Know what the Italians said?